I believe in self-development as I am a product of one. In this new month, utilize your phone, (most especially your subscription) in developing a new skill or two. 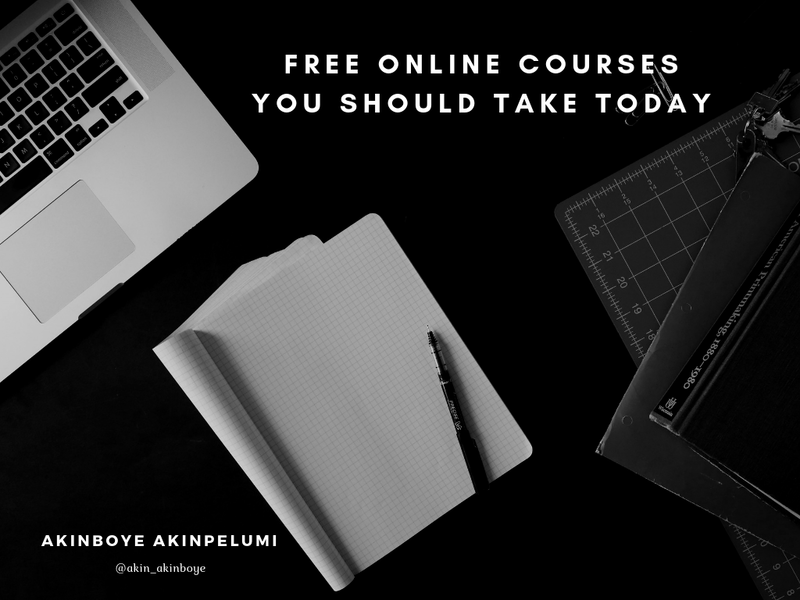 If you are employed or looking for employment, you need to learn or develop your skills in the free online courses I put together here. It's high time that you actually learn what to do with spreadsheets. Long story short? There’s a lot more to the program than you probably even realized, and there’s a use for it no matter what you do. It’s more about problem-solving in an organized manner than it is about rows of data, and this shift in perspective will allow you to think more critically about how Excel can help you. Did you know that 90% of business owners say social media marketing has increased their business exposure? Social media marketers have become an important part of businesses in recent times, why not put your interest in social media to good use by learning Social Media Marketing? With this course, you can forge a career in digital marketing with lessons on how to create profitable campaigns on the top social media platforms like Facebook, Twitter, and YouTube. Photoshop can be a great skill to help you get a job. Many jobs require Photoshop skills, and this is especially true with design roles such as graphic designer, web designer, or user interface designer. Marketing roles also often prefer someone who can work efficiently with Photoshop. In a competitive job market, learning Photoshop skills can help to differentiate you from other applicants. Money doesn't make the world go 'round — data does. Data scientists are in high demand - and employers don’t find enough graduates to fill their openings. With this, you'll be equipped with the conceptual and technical skills to break into a career in data science. A lot of people don't really understand what coding is. But people who learn how to code are able to apply it beyond their computers. Coding is applicable to multiple facets of life. For example, coding forces you to break up a problem into a series of smaller steps and then logically create a program that solves them. This same approach can be applied to virtually every problem in life. Developers are in high demand. There are more and more positions opening, and it can be considered a very stable job as there are many companies and startups in the country that need the assistance and don’t have the knowledge. Whether you want to level up your Insta feed or start a photography side hustle, you should take time to learn how to capture better pictures. The skills learned will enhance your résumé for sure. This month will be the month you finally get over your fear of speaking in front of an audience. Whether you're gearing up to present a pitch or deliver a speech, this course will help you exude confidence while engaging with a crowd. Help yourself become better today. How do I sharpen my excel knowledge to make me more empowered for future use/employment?